Visit us in Pelham. We carry gold, guns, luxury watches, sports memorabilia, diamond rings, guitars, lawn equipment, boats, dirt bikes, tools and more. This is only a smattering of what we have to offer. 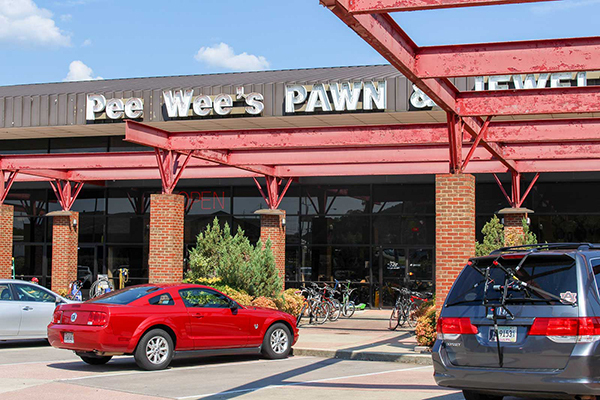 Pee Wee’s is a leader in the pawn industry, welcoming our customers to a clean and friendly store, as well as saving them cash and providing loan services. Our mission is to meet all the needs of our customers. A pawn is when a customer brings in an item and is given cash in exchange for their personal property. The item is stored in the pawnbroker’s possession until the customer repays and retrieves the property according to the terms of the agreement, or the pawn contract defaults. What is the term of a Pawn? A Pawn loan is a 30 day loan that is due at the end of 30 days, with interest. If the item is not paid in full at the end of the 60 days the item then becomes property of the pawn shop. Is there an interest rate or service charge involved with a pawned item? Yes, each pawned item has an interest rate or service charge based on the pawn loan. Click here to contact us for a quote. What will be the value of my loan? When you bring your item in, we will determine the value based on weather the item will sell in today’s market and its current retail value. Once those elements are established we will decide on the amount of the loan. The loan amount is based on a percentage of what the item would resell for today. Does Pee Wee’s have to grant an extension on a pawn? No, Pee Wee’s does not have to extend the pawn loan once the item has reached its redemption date. 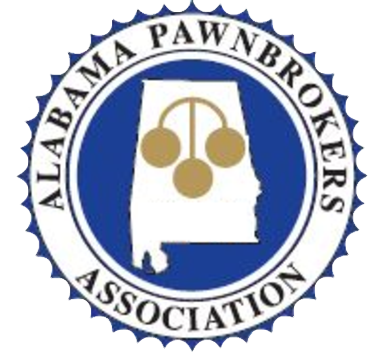 The Code of Alabama states you have 60 days from the date of the pawn to retrieve your item, including paying the loan in full. But we are happy to work with you if an extension is needed, please contact us or more information. Just click here to get started. Is my pawn loan transaction confidential with Pee Wee’s? Yes, Pee Wee’s respects all their customers, including the privacy of their personal information and financial matters. Does Pee Wee’s buy items instead of pawning? Yes, Pee Wee’s will purchase most items of value that will sell in today’s market. Once I pawn an item, am I guaranteed to receive my item back once the pawn loan is repaid? Yes, you will receive your item, as long as the loan contract has not passed its right of redemption date.